When your furnace is acting up, the professionals at Hudson Heating have an affordable solution. From full service furnace repairs in Hudson NJ to instigating a routine maintenance program for your furnace, or replacing the system when it’s worn out, our professional team of furnace repair specialists are ready to help get your home of office building back up and operational. And with well over 20 years in completing professional furnace services in Hudson County NJ – you’ll be confident that Hudson Heating will get the job done right – and always at a price you can afford. When your home or commercial furnace needs repair in contact Hudson Heating to get the job done. Our company is licensed, certified and insured to work on any furnace system in Hudson County. With a dedicated team of furnace repair specialist on deck, you can be certain that our team will arrive quickly to your home or office to repair your furnace in Hudson right the first time. We understand how difficult it can be to find reliable heating repair specialists that are dependable and honest. So contact our team at Hudson Heating for more information and honest and competitive quotes for all of your furnace repair needs. If you’re building a new property or renovating an older home or office and need to have a new furnace installed in Hudson NJ, our team has the experience to get the job done. We have literally installed hundreds of furnaces in both commercial and residential applications over the years. And with every professional furnace installation in Hudson we complete, our service record speaks for itself. We strive to deliver professional customers service and always will be up front and honest with you about all costs involved. For more details about the furnace installation services in Hudson NJ we offer, contact our team today. Furnace maintenance is essential to insure an optimum heating system functionality, we advice signing up for a yearly maintenance program, that will insure your heating system, will remain functional throughout the cold season. 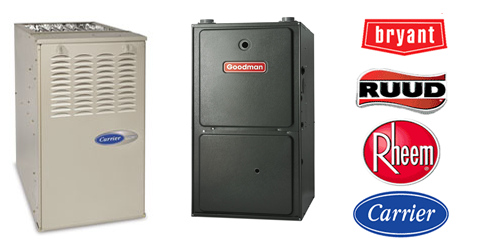 If you have an older furnace that needs replacement, we can do that as well. Our furnace replacement team in Hudson NJ will spend time with you to examine your older system and pick a new one that not only keeps your home or commercial building warm, but will also help you save money each month. We pride ourselves at open and transparent communication, so if you have any questions about any of the furnace replacement programs in Hudson NJ we offer, simply contact our team. We look forward to serving you soon.